Trade your flip-flops for snow boots this winter for a flurry of fun at Margaritaville at Lanier Islands! License to Chill Snow Island debuts November 16, along side Magical Nights of Lights with a Margaritaville twist. Be transported to a wintry vacation state of mind on the fastest snow tubing hill in North America. holiday lights. And there’s more winter wonderland fun to be had at LandShark Landing with winter-themed carnival rides, firepits. 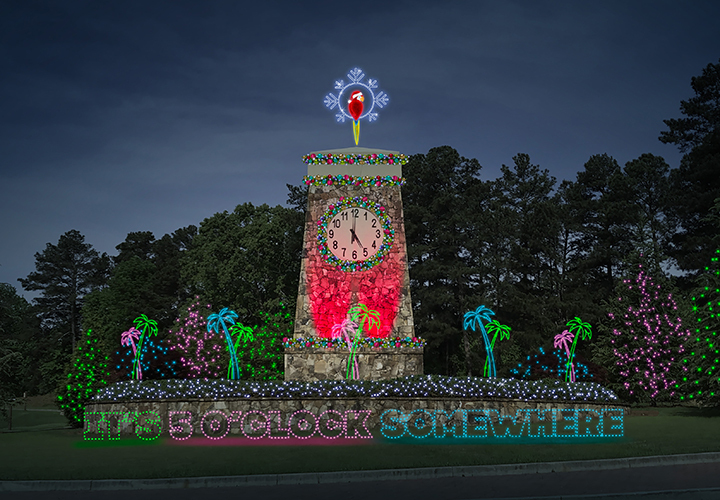 Tradition and excitement merge at a magical place with seven miles of traditional yet unique holiday lights. And there’s more winter wonderland fun to be had at LandShark Landing with winter-themed carnival rides, firepits, smore’s, specialty winter drinks and more. There’s snow much fun coming to Margaritaville at Lanier Islands this holiday season! November 16 (Friday) 5:00 pm - February 26 (Tuesday) 11:50 pm EST.